A local mixed freight train, with 14 cars and pulled by No.4473 PRR I1sa class, approach westward Walker Yard. The train is portraied on the Vance Mill Junction curve. 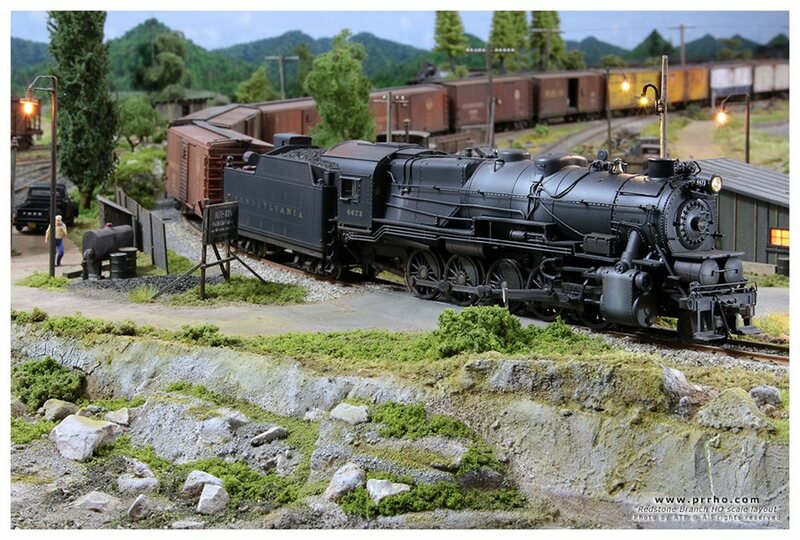 1957 Redstone Branch ho scale layout.